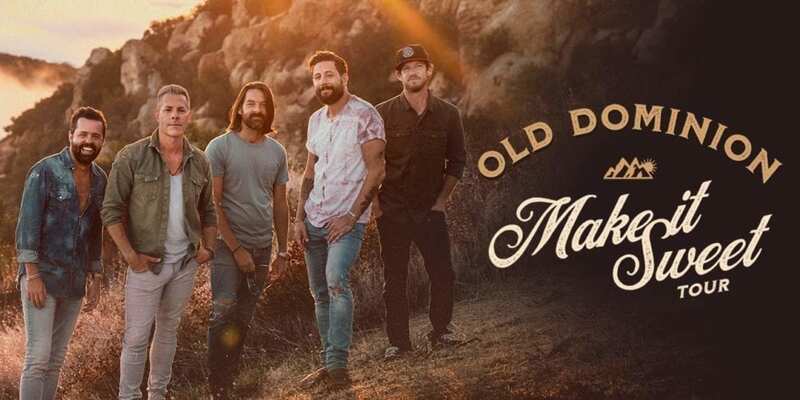 Acclaimed reigning CMA & ACM “Vocal Group of the Year” country band Old Dominion brings their “Make It Sweet Tour” to CURE Insurance Arena in Trenton, NJ on Saturday, June 1, 2019 at 7:30 p.m. Special guests include Morgan Evans, Jimmie Allen and Ryan Griffin. 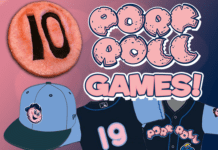 Tickets go on sale Friday, February 8 at 10 a.m. through CUREInsuranceArena.com, by phone at 1-800-298-4200 or in person at the CURE Insurance Arena box office. The band recently launched the “Make It Sweet Tour” with sold-out back to back weekends, starting with the All State Arena in Rosemont, IL earlier this month as well as the Swiftel Center in Brookings, SD. Upcoming shows at Tsongas Center @ University of Massachusetts in Lowell, MA, the Theater at Madison Square Garden and the Red Rocks Amphitheatre in Morrison, CO are also sold out well in advance, with holds currently just released to the public. By the end of 2018, Old Dominion performed 136 shows and crossed 1.5 million fan impressions within 365 days. Those gigs encompassed their own arena tour, sold out European and Canadians runs, dozens of festivals, and opening for Kenny Chesney on his summer stadium and arena tour. They also took home the award for “Vocal Group of the Year” at the 52nd Annual CMA Awardsand at the 53rd Annual ACM Awards. Additionally, the band received a nomination for “Country Duo/Group Artist” at the 2018 Billboard Music Awards.